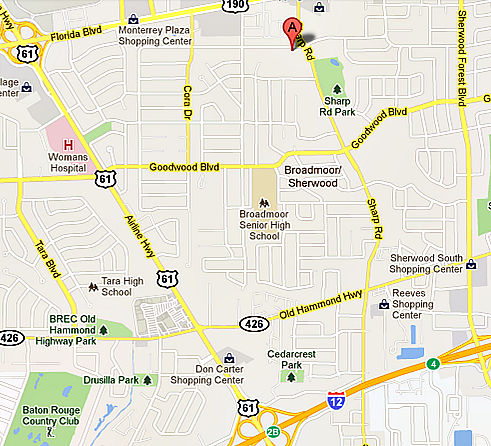 Our church campus is located at 10230 Mollylea Drive in Baton Rouge, LA 70815. From 1-12, exit Airline Highway North (US-61). Turn right (East) onto Old Hammond Highway (LA 426). Turn left (North) onto Sharp Road. We are on the corner of Sharp Road and Mollylea Drive. From Airline Highway, turn East onto Old Hammond Highway. Turn North (left) onto Sharp Road. Broadmoor’s campus is located at the West (left) corner of Sharp Road and Mollylea Drive.